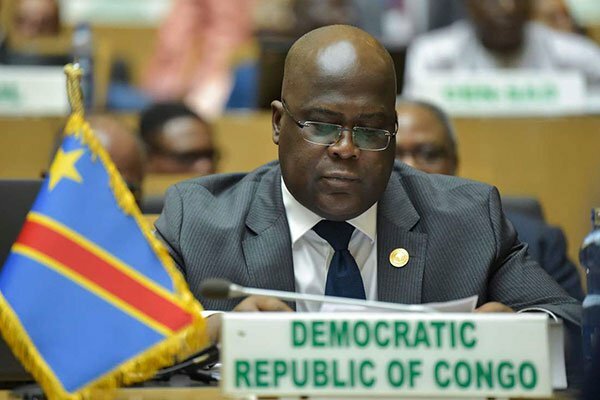 The credibility of the December poll victory of the Democratic Republic of Congo President Felix Tshisekedi has been further put to question after the United States imposed sanctions on top electoral commissioners. The US Treasury said in a statement that it has sanctioned three senior officials of the Independent National Electoral Commission (CENI), accusing them of corruption and obstructing the presidential vote. The three are Ceni president Corneille Yobeluo Nangaa, vice president Norbert Basengezi Katintima, and Marcellin Basengezi Mukolo, an adviser to Mr Nangaa and son of Mr Katintima. The US Treasury said the electoral commission « failed to ensure the vote reflected the will of the Congolese people ». The Treasury statement focused on what it said were efforts by the three « to obstruct and delay preparations » for the election, which had originally been due in 2016, and corruption related to procurement of voting machines and other materials. Treasury said the three officials facilitated the delays by embezzling money meant to finance the vote into shell companies and accused Mr Nangaa and Mr Katintima of bribing justices on Congo’s top court to approve an election delay in 2016. It also said that commission officials, under Nangaa’s leadership, inflated by as much as $100 million the cost of electronic voting machines « with the intent to use surplus funds for personal enrichment, bribes, and campaign costs to fund the election campaign of Kabila’s candidate ». Congolese sources in contact with Mr Nangaa and other senior government officials told Reuters that runner up Martin Fayulu actually won the election but that top officials instructed the commission to award the vote to Tshisekedi, who the Kabila’s camp viewed as less hostile to its interests. American corruption watchdog, The Sentry, said the sanctions are an important step in ensuring accountability for electoral fraud during the December presidential election. « The new US sanctions are a step in the right direction, but if the US is going to have an impact on systemic corruption in Congo, much more extensive financial pressure on corrupt actors is needed, » Sarah Gardiner, an investigative analyst at The Sentry said. The United States sharply criticised the conduct of the election but eventually recognised Mr Tshisekedi’s victory and said it was committed to working with his government. Enough Project, the human rights wing of The Sentry, said targeted sanctions, anti-money laundering measures, and prosecutions against inner network of the former president Kabila’s financial facilitators, and their networks of companies will be critical to create the political space needed for much-needed anti-corruption reforms that Congolese civil society is rightly pushing for. 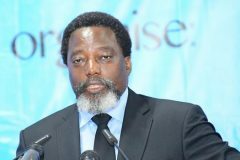 « Former president Kabila has formally left office, but it is clear that he and his inner circle still hold the keys to power in the Congolese government, » said Sasha Lezhnev, the deputy director of policy at the Enough Project. 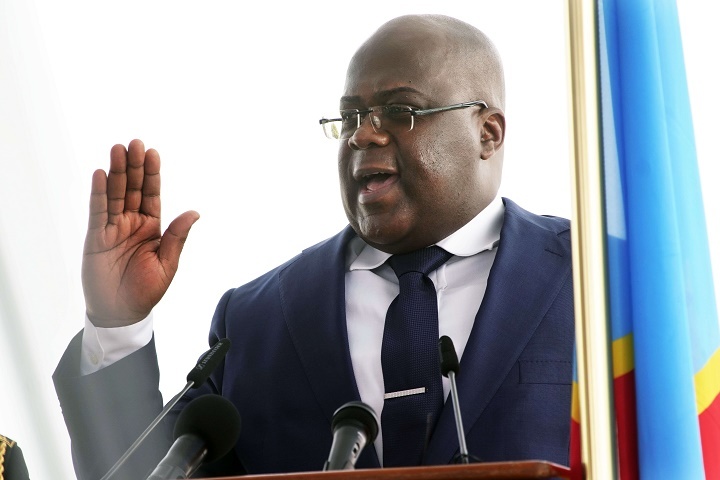 The sanctions come as President Tshisekedi blocked the inauguration of newly elected senators on Tuesday citing corruption that had allegedly stained their election. He also postponed the elections for provincial governors, due on March 26, until further notice. The President ordered a probe « into ingrained corruption » among elected officials. That said, what should we expect from the US ? What does Mr Nagy think? The Congolese people are tired of reading these kind of announcement without any real impact on the real criminals who are sowing death and desolation in DRC since the Rwandan invasion. We are tired ! Tolembi ! Mama Melania talela biso likambo oyo ! This is one more manifestation of Kabila’s criminal kleptocratic regime which he has now transformed into a Gang of thieves known as « FCC ». What is the USA waiting for before sanctioning the « Godfather » himself and his equally thuggish brother Zoe and sister Jaynet who are simply laughing at these toothless sanctions while hoping to manipulate Felix Tshisekedi by forcing-in their candidate Premier-Minister Albert Yuma? Stolen money by Nangaa & Co, according to the US Treasury, is significant. They could have contributed to the development of DRC and to the well-being of the Congolese people. This money could have prevented children from dying of malnutrition, sick people dying due to lack of care. Steal these millions of $ for personal purposes is a CRIME. All Congolese communities around the world could bring criminal indemnification proceedings and lodge criminal complaints wordwide.